How do Bats Get into Your Attic? Any other opening 3/8" or larger. 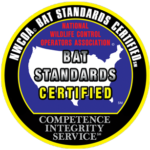 STEP 1 - Home Inspection: You have to find out how the bats are getting in and out of the home, where they are roosting, what damage they have caused, and are there health risk. They fly out 15 minutes before sunset and fly in 15 minutes before sunrise. Bats don't all leave at the same time. They make several trips in and out of the attic per night. They typically roost in sheltered, warmer areas within the structure. Meaning they typically roost in attics. During the attic inspection you typically don't see the bats out in the open. They usually crawl down walls, sleep underneath insulation, and wedge into soffit voids. They use your attic as a toilet and leave droppings (guano) all over your attic. 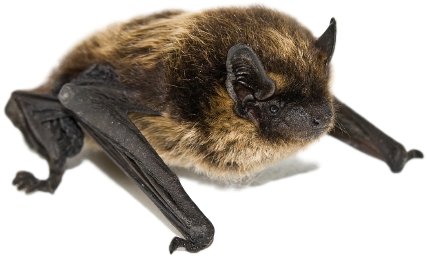 The bats we generally find in your attic are big brown and small brown bats. During the inspection of the home you can often times determine if you have a maternity colony living in your attic. It is important not to remove bats during maternity season. In Michigan this is typically during June and July depending on the climate. Male colonies can be determined with very few droppings. If you are unsure it is important to wait, because bats are protected and beneficial. 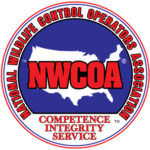 Now onto bat removal and wildlife control phase. STEP 5- Cleanup: Bats often leave behind a mess in the attic after they are excluded. Bat guano (their feces) can pile up after in the attic after time. If bats have a roost in your attic and walls it is important to clean up the mess. 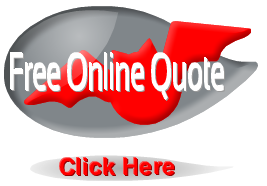 Attic clean ups are typically done through the power of a 20 horse power gasoline vacuum. we use 150 feet of hose and 75 gallon insulation bags to remove all of the contaminate waste. If the insulation is rolled batted insulation it may have to be removed by bagging it in 45 gallon construction bags. Attics must also be sanitized and deodorized as well. We use paint sprayers and attic fogging to clean your attic. See our attic restoration page for more information on the clean up process. How to Hire a Bat Eviction Expert Click Here!